On August 11, 2012 , Right Eminently Distinguished Brother Richard F. Cole, Jr., OPC, made the announcement that our Grand Master had been selected and approved to received the Order of the Purple Cross next year in Tampa, FL at the Annual Assembly of the York Rite Sovereign College of North America. MW Brother Leary has faithfully served his Craft, most notably as Grand Master. However, he has also served as an Excellent Chief of Scenic Council Knight Masons and is currently working diligently as Sovereign Master of John Harris Council No. 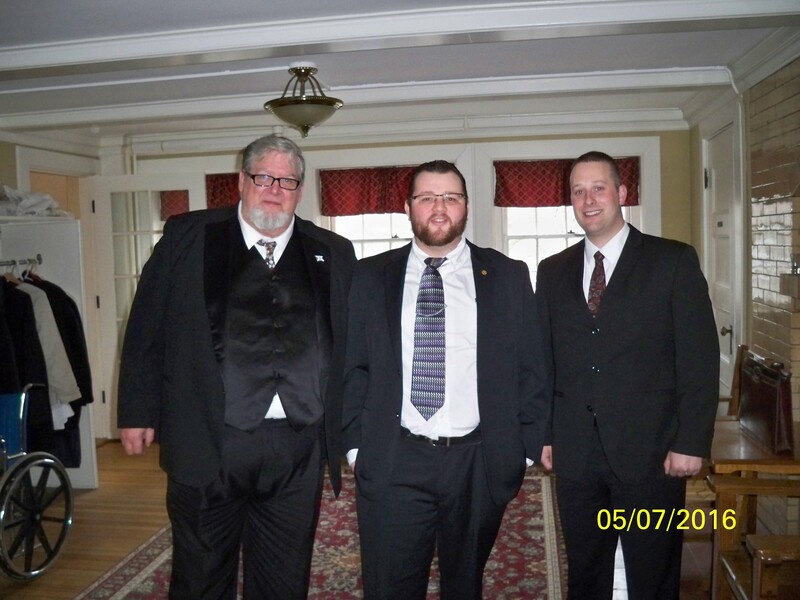 458 Allied Masonic Degrees and as the first Presiding Knight Commander of NH Council of the Red Branch of Eri. The Grand Master is also in Profile York Rite College Officer Line currently serving as Marshal. He will be one of the Officers opening the Ceremonies for the Northeast York Rite College Festival being held in Portsmouth on September 22, 2012, an annual event which has been chosen to be held in NH this year. 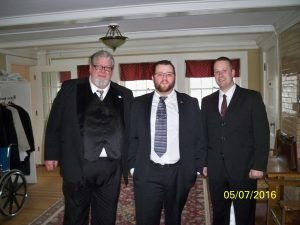 Congratulations, Most Worshipful, for being selected as the only NH Mason to receive this honor next year! 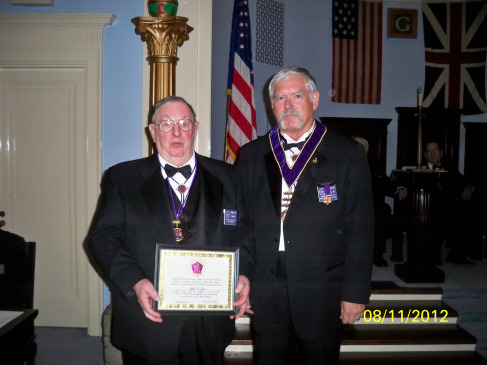 On August 11, 2012, Right Eminently Distinguished Brother Richard F. Cole, Jr. made the above mentioned presentation of the York Rite Sovereign College Service Award to Past Governor of Profile College No. 100, Companion Knight John S. Geas at the last Assembly of the College. John has faithfully served the College for many years, going through the Officer Line and supporting the York Rite College Degree team in it’s efforts to promote Freemasonry whenever asked to do so. 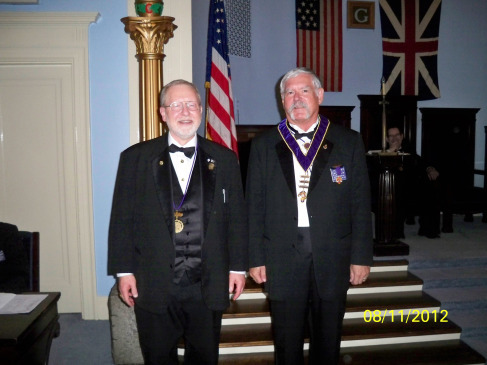 John was one of nine Companion Knights who were selected to receive this honor this year at the Annual Assembly of the York Rite Sovereign College of North America which encompasses the United States and Canada. That is a unique accomplishment and very few are ever selected for this honor.